She had been naked for less than ten seconds when the snow began to feel hot. Her body, pale and lean and strong, biceps and things banded with black tattoos, lay basking against the glacial ice; a snow angel overcome by shadows and lights, calm and awed in whatever seconds remained. Post-Traumatic Stress Disorder is such a catch-all term. Originally called "shell shock" and devised to describe a range of psychological and neurological disorders related to World War I, it now refers to a whole host of physiological as well as psycho-neurological changes the body and mind undergo in reaction to repetitive or traumatic stress. Just saying someone has PTSD is not enough; people vary as much in their reactions as they do in virtually everything else in their lives. But it does suffice to explain that someone has endured something and is trying to reconcile themselves to the effects. Due in part to cultural expectations, men and women often manifest PTSD in different fashions. In her latest novel, Be Safe I Love You, Cara Hoffman tackles the issue of combat-induced PTSD and how it affects a young, recently discharged female soldier, Lauren Clay. Decades of post-war stories have perhaps conditioned readers to expect violent outbursts punctuated by withdrawal and depression, but very few stories have explored the effects of PTSD on women veterans. Lauren's narrative is bracing, not just because of the subject matter, but in the ways that Hoffman explores certain burdens that are more unique in women vets compared to their male counterparts. The result is a gripping story that unfolds at a steady rate, causing readers to want to pause at times to contemplate what is occurring and at others to want to speed on, to see what the results of Lauren's actions will be. The main action unfolds over a two week period following a surprise Christmas 2000's reunion of Lauren with her family. 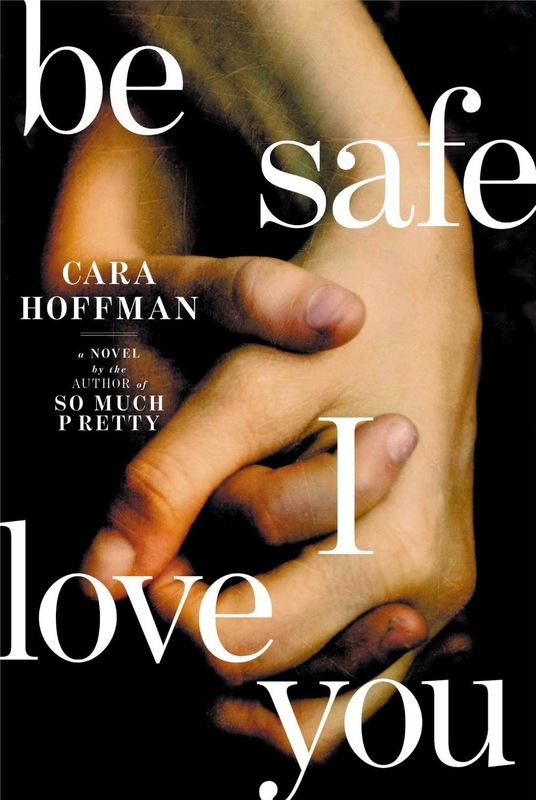 Hoffman chooses to open Be Safe I Love You with a prologue set at the very end of the chain of events. The reader is thrown full force into a powerful scene whose import is not revealed until the same scene, with a few tweaks, is repeated in the penultimate chapter. This first, poetic image sets the stage for the search to come, that of discovering beauty within a wasteland of emotion and destruction. This is a very effective scene in that it establishes the internal battle before we are introduced to its causes. Much of Be Safe I Love You is told in flashbacks. We see Lauren, who was an aspiring classical singer, join the Army in order to provide the necessary money for her divorced father to afford the mortgage and for her younger brother, Danny, to continue to live there. In these flashback sequences, we see the conflicts that Lauren feels as she desires to keep her family together while sacrificing much of what she loved in order to achieve this. Hoffman does not linger overlong on these scenes, but instead she reveals just enough of Lauren's character to establish a strong, identifiable "before" character before contrasting it with the post-combat, discharged Lauren, who is struggling to reintegrate herself into civilian life. The key turning point in the novel is when Lauren takes her younger brother, who used to dream of being an Arctic scientist before he began to undergo his own deleterious changes in her absence, to the Jeanne d'Arc Basin in northern Canada. There she thinks to instill a sense of survival traits in her brother, but it quickly becomes apparent that she is fighting for her own survival. For her, the snow becomes the desert, the solitude of glacial plains reflecting that of their Iraqi counterparts. Lauren's spiraling state is revealed via a close third-person PoV, as those formerly close around her note the subtle changes in her demeanor shortly after her arrival, with these changes manifesting themselves in increasingly worrisome fashion over the course of these fateful two weeks. Hoffman does an excellent job balancing the reader's desire to know more about Lauren's mental state with developing her surroundings. Lauren's father and brother, along with former friends and relatives, are fleshed out with short, succinct scenes that never feel extraneous. Hoffman's prose manages to convey a sense of the ethereal, where the sublimity of the natural serves as a counterpoint to Lauren's frustrated desire to reconnect with her old self and her former loves and hobbies. Hoffman easily could have overplayed this, turned Lauren's tale into a maudlin affair, but her restraint in giving into these treacly touches makes Be Safe I Love You one of the most poignant postwar-related fictions that I have read. As the story closes with the initial struggle over, Hoffman leaves the reader with the sense that Lauren's life is still unfolding, that there will still be peaks and valleys to navigate. It is a fitting conclusion to one of the better novels released this year.